Join the CFA NY FINTECH THOUGHT LEADERSHIP GROUP on LinkedIn. The views expressed by the members of the LinkedIn Groups do not necessarily represent or reflect the views of CFA NY. Develop programs and other initiatives to keep CFANY members informed of cutting edge Fintech innovation relevant to their profession and the financial services industry. Collaborate with other CFANY leaderships groups, the CFAI and other stakeholders to address Fintech related issues impactful to members of the investment community. Facilitate discussion and thought leadership within the committee and by engaging with leaders in the greater FinTech ecosystem. 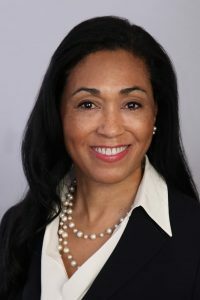 Carole K. Crawford, CFA, is founder and Managing Partner of fincap360, where she develops bespoke solutions for entrepreneurial NextGen family offices, private venture capital funds and emerging firms, focused on leveraging innovation to grow capital. Carole is actively involved in the FinTech ecosystem, in and outside the U.S. Prior to fincap360 she built a successful wealth management practice at Morgan Stanley, in addition to leading branch wide business development for alternative investments and SMAs for two of the largest offices of the firm. Earlier in her career Carole was a CFO for venture capital backed tech companies. Through the years she has counseled the White House, Congress and other political leaders on issues related to financial services and entrepreneurship, called on by both sides of the aisle. She holds a Bachelor of Arts degree in Economics from the University of Michigan and completed the Certified Investment Management Analysts program at the Wharton School Aresty Institute of Executive Education. She is a CFA charterholder and chairs CFANY’s Fintech Thought Leadership Group.